Punctuality for meetings is expected. Mon-Fri 0800-1200, 1300-1630 (government); Mon-Fri 0800-1200, 1300-1700 (private). The economy is dominated by fishing and sheep-farming. Productivity in sheep-farming has increased sharply since the mid 1980s with improved working practices. The fishing sector now accounts for the islands' much improved economic performance. 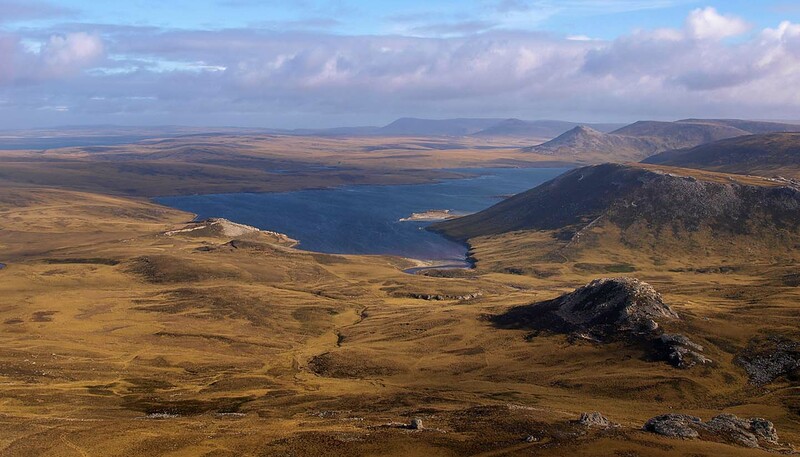 The industry has grown substantially since 1982, assisted by the introduction of a licensing system in Falklands territorial waters. The presence of large quantities of squid, a very popular dish in several parts of the world, has fuelled an economic boom and the emergence of a 'squidocracy': a group of individuals who have become extremely wealthy as a result. Other plans for the Falklands' economic development have proved less successful. Restrictions on Antarctic development have undermined the islands' hope of deriving benefit from being an en route staging post. The search for oil and gas reserves began in earnest in 1995 after the signing of an agreement between the UK and Argentina; test drilling started in 1998 but no viable deposits have yet been located. However, as long as the squid last, the Falklands economic outlook remains bright. Tourism, especially eco-tourism, is increasing rapidly. Another significant source of income is interest paid on money that the government has in the bank. The British military presence also provides a sizable economic boost. Trade between the islands and Argentina is small; most trade is still conducted with the UK. Fuel, food and drink, building materials and clothing. UK, Spain, Chile and France. Good satellite telephone links to the Islands. The Cable & Wireless office is open Mon-Thurs 0815-1200 and 1315-1630 (Fri until 1615), and sells phone cards for use in the international telephone service booths situated in the office. Cable & Wireless launched a mobile phone service in December 2005. Coverage is initially in Stanley and Mount Pleasant with fairly good coverage along the MPA road and more limited coverage between MPA and Goose Green. No roaming agreements have been declared. There is an Internet cafe in Stanley. Coverage of local affairs is provided by a radio station and by the territory's sole newspaper. Satellite television channels are widely available. There are no daily local papers, but Penguin News (weekly) is published in Stanley and all British national newspapers are also available; the Falkland Islands Gazette is a government publication; the Falkland Islands News Network relays news daily via fax and email. BFBS Radio Falklands provides radio coverage for British forces; the Falkland Islands Broadcasting Station (FIBS) operates on both AM and FM. Airmail to Europe takes four to seven days.